When two games collide, only one game can be triumphant. Or something. 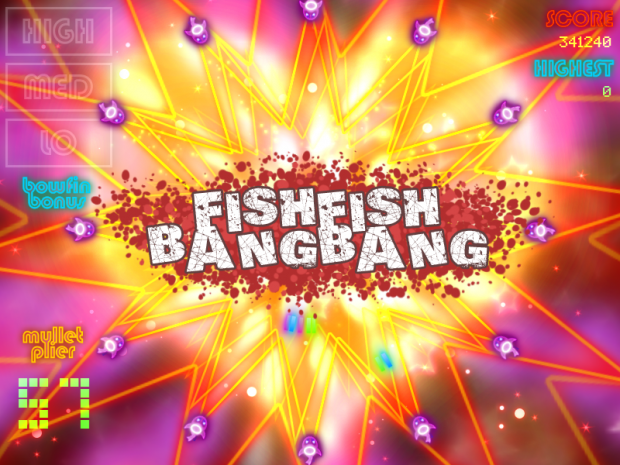 Fish Fish Bang Bang is a single switch shooter that mixes the insane visuals of Squid Yes, Not So Octopus with the cute and cuddly Fishie Fishie series of games to colourful and explosive effect. Space, Mouse button or single switch to change rotation direction. Shoot fish. Do not touch fish. Burn eyes.